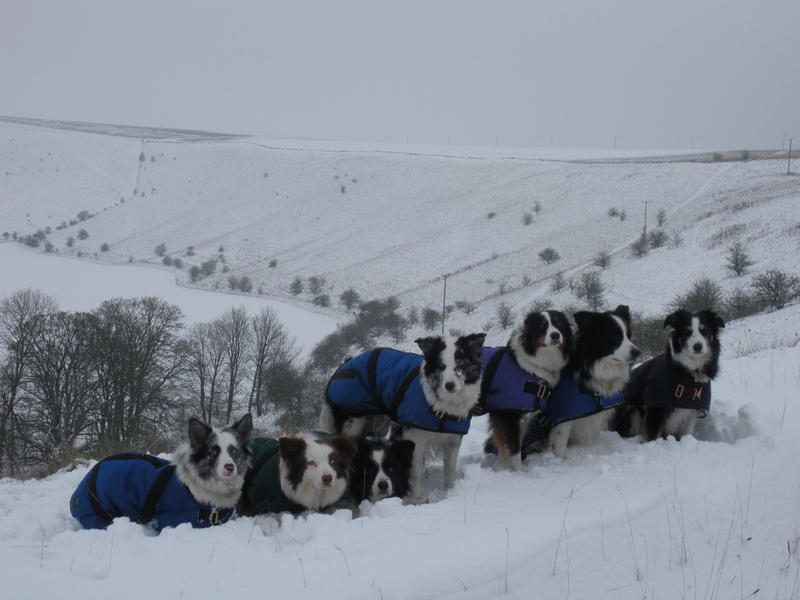 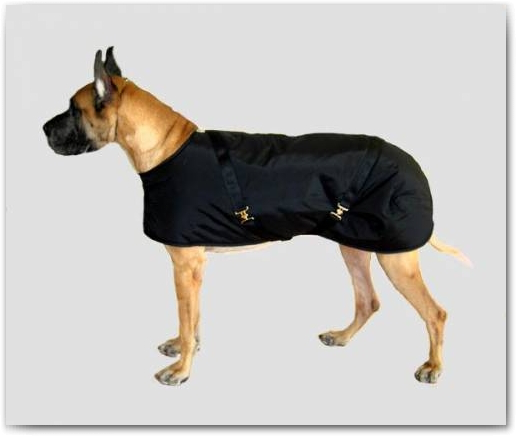 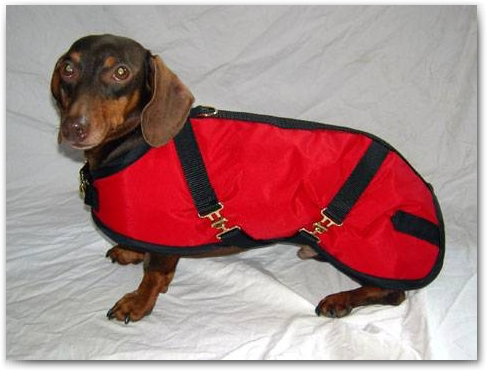 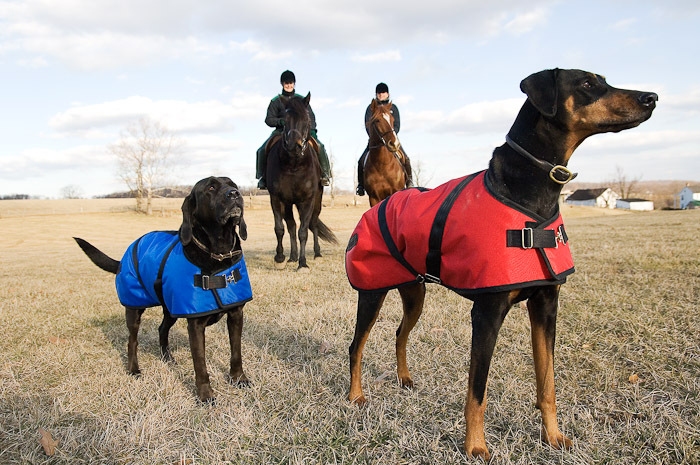 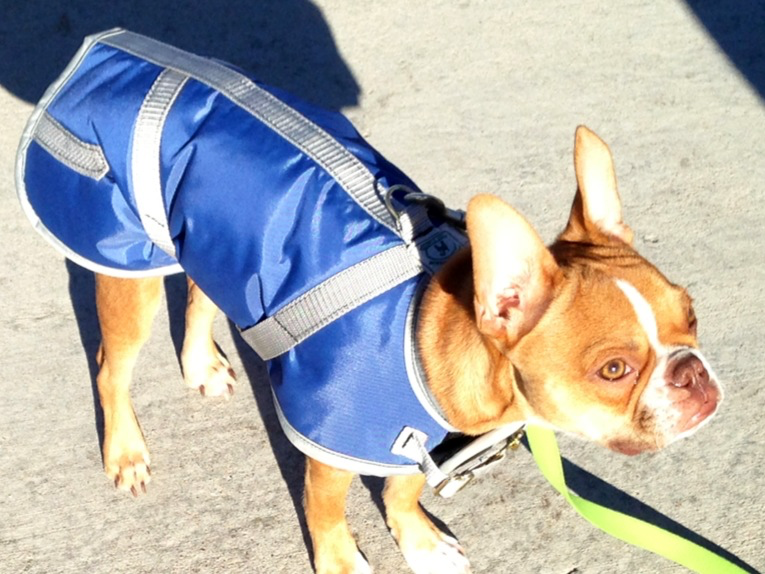 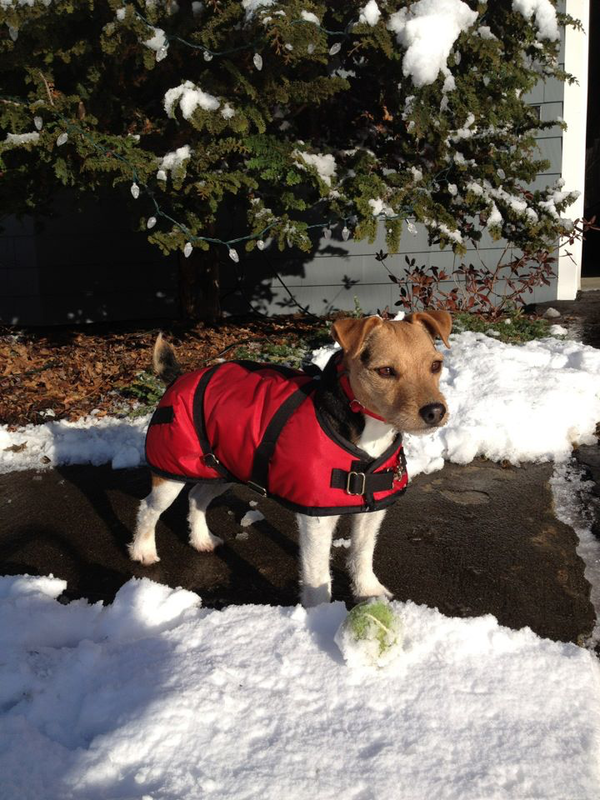 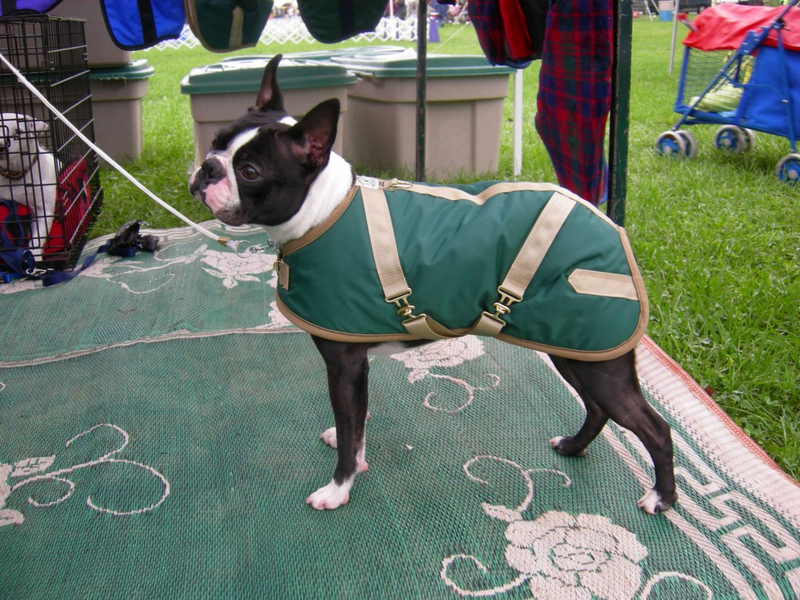 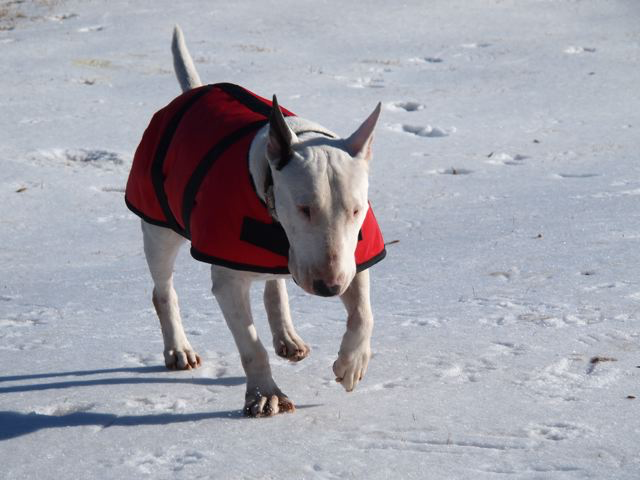 Description: Originally designed for horses, this functional coat will keep your dog warm in the worst winter weather. 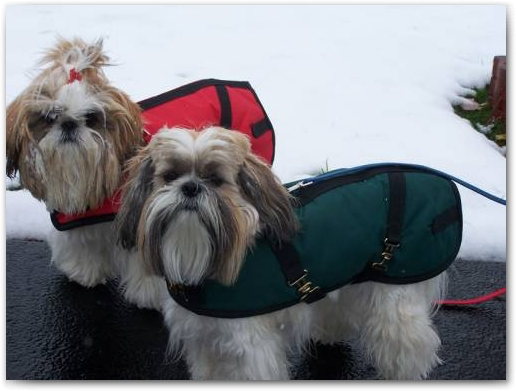 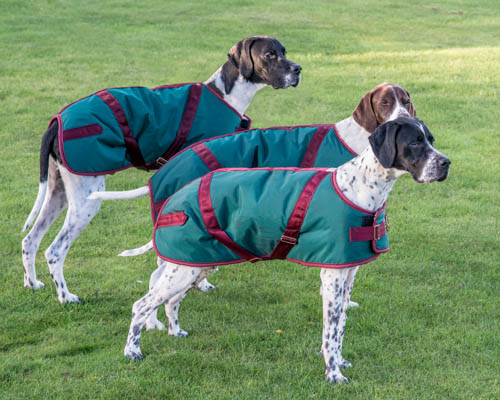 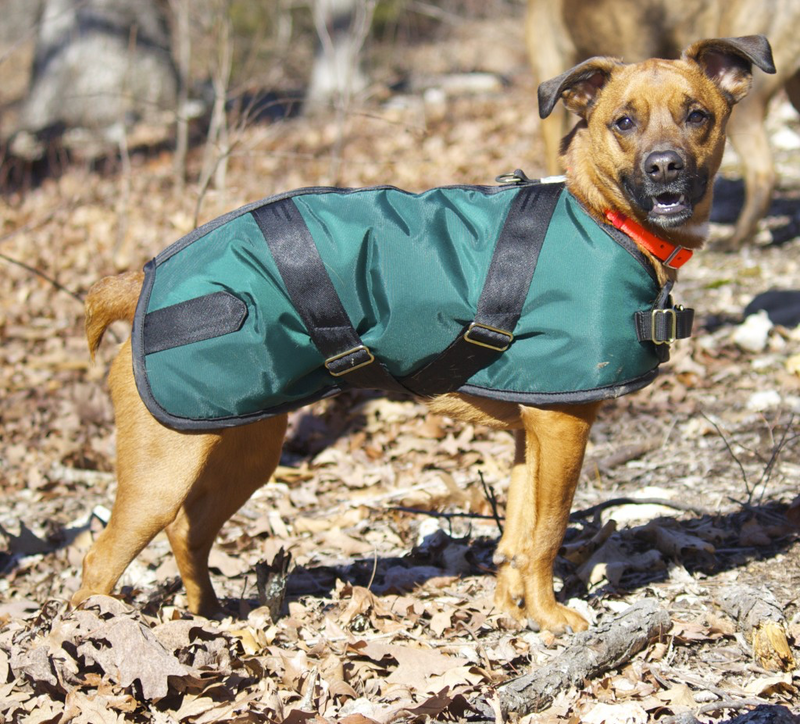 With a tough water- and wind-repellent 420 Denier nylon shell, warm Poly-Fil insulation and a soft, plush fleece lining, the Nylon Turnout Coat stays put as dogs play. 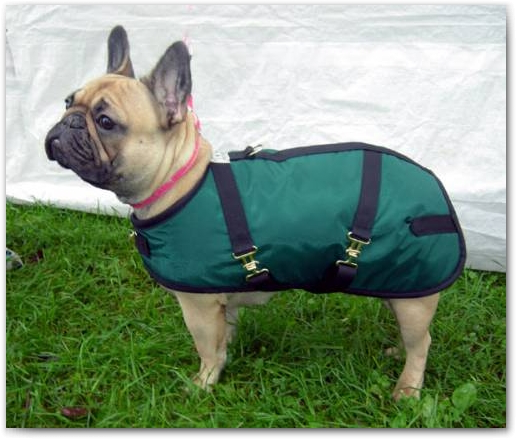 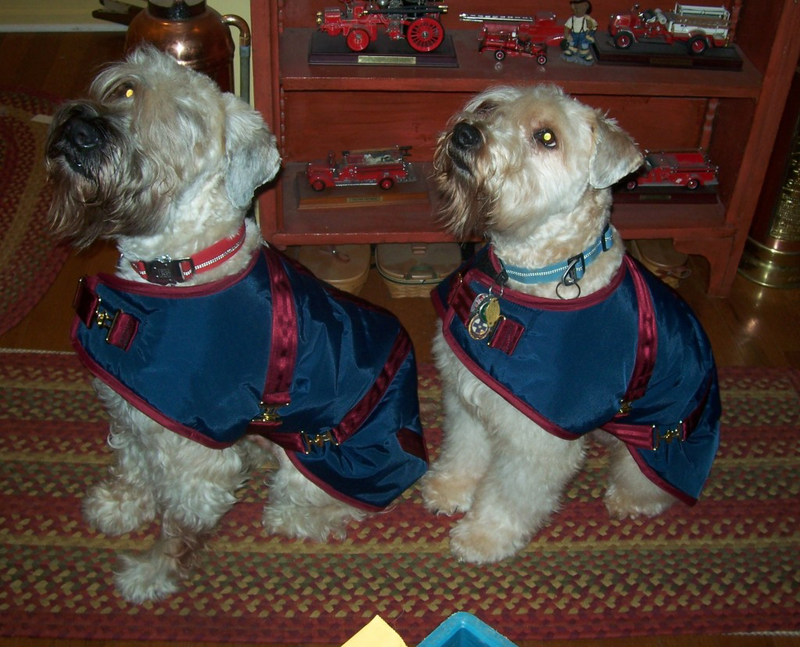 Its unique design includes contouring around the haunches, two straps that criss-cross under the belly, an additional clasp in the front, Velcro, and sturdy brass-plate hardware that secures the coat to the most playful of dogs. 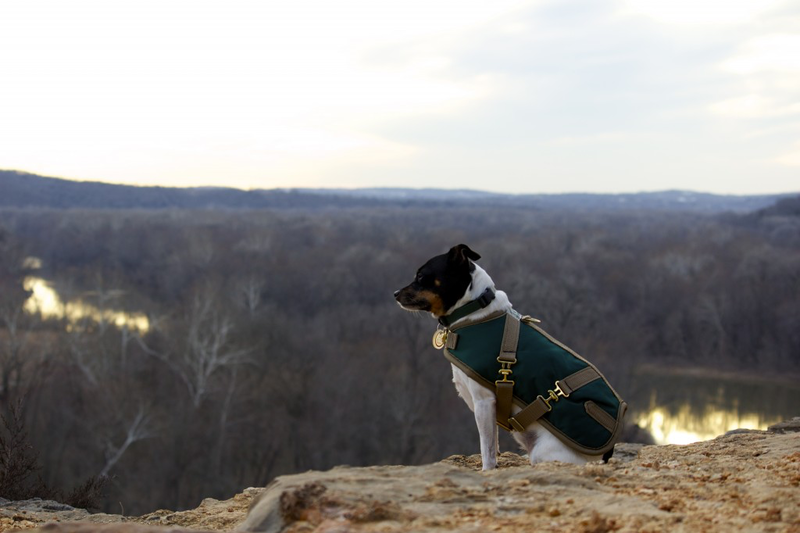 All straps are also conveniently adjustable. 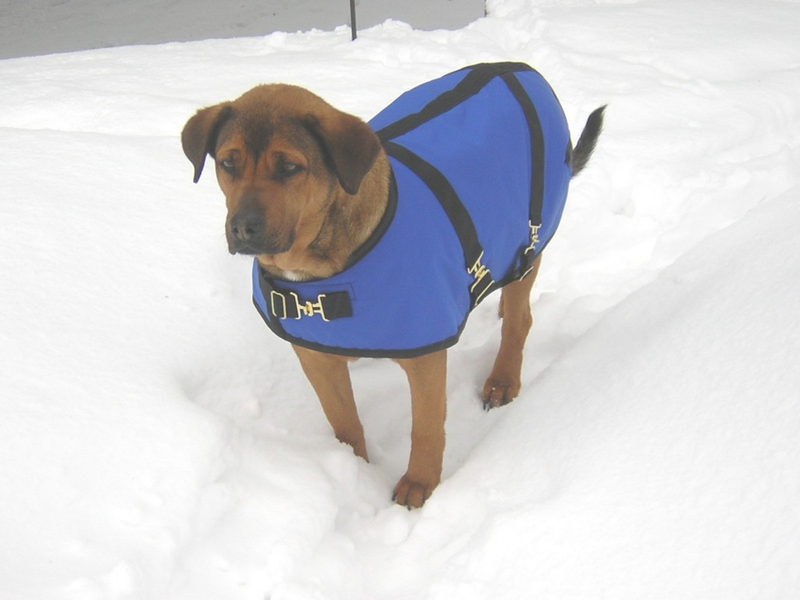 For your dog’s safety, please DO NOT leave your dog unattended while wearing a Turnout Coat, as hardware can get caught on crates or fencing.